Federer has comfortably reached the fourth round in California as he aims to continue his unbeaten record in 2018. The 36-year-old’s route to the final became that bit easier with Novak Djokovic being knocked out by Japanese qualifier Taro Daniel and Grigor Dimitrov also suffering a shock defeat to Fernando Verdasco in the second round. His family is with him at the tournament to show their support but Federer has revealed how his kids have been making money on the side while he’s been playing. 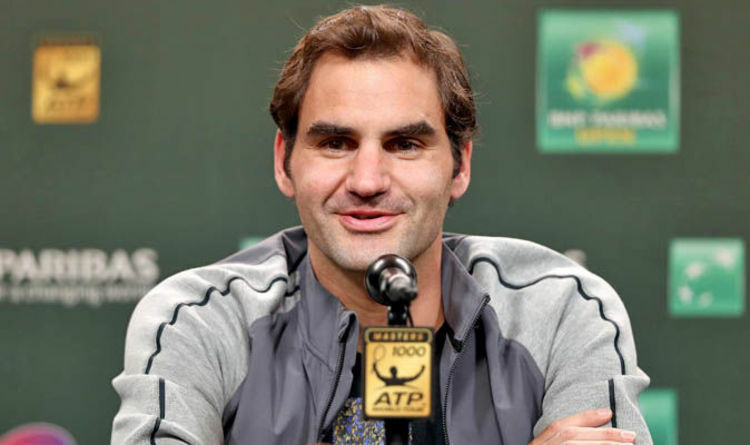 “We’ve rented a house for many years now, we like it this way here,” Federer told Tennis Channel. “Here it’s jumping in the pool, selling lemonade on the side of the street. “They made $70 yesterday. I’m not getting the money. The world No 1 has already tasted victory at the Australian Open and Rotterdam Open this year and is aiming to stretch his lead over Rafael Nadal in the men’s rankings. But Federer will have to relinquish his spot at the top if he fails to reach the semi-final in Indian Wells. Nadal aggravated a leg injury prior to the tournament raising question marks over whether he could be fit to feature in the French Open.